Holy Week is a very sacred time of year. The worship services of Holy Week provide a liturgical experience of the last days of Jesus' earthly life, from his entry into Jerusalem on a donkey amid crowds with palm branches through his time in the garden, his arrest, trial and his crucifixion to his glorious resurrection. The three holy days, or Triduum, of Maundy Thursday, Good Friday, and Holy Saturday are at the heart of our Holy Week observance. While Holy Week is solemn and sorrowful, it also anticipates the joy of Easter through the recognition of God's goodness in sending his son to die for our salvation. Take this journey with St. James’ Church this year, through worship, music, and quiet reflection. All are welcome. 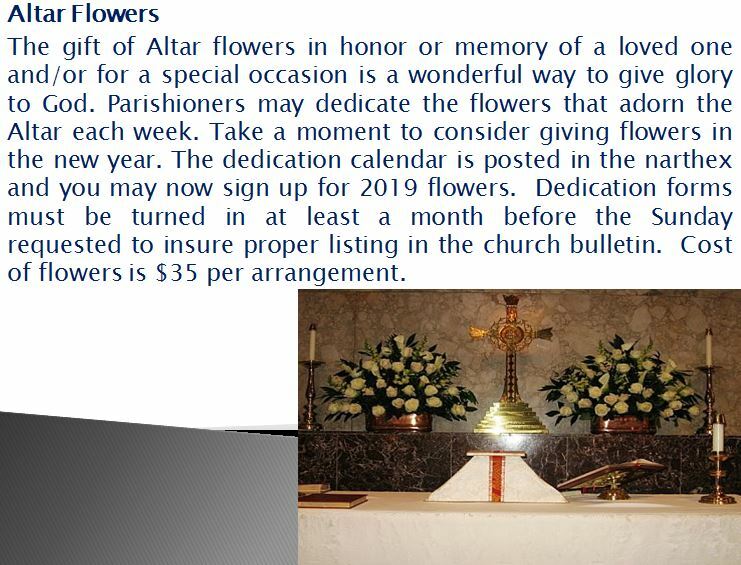 Click Here for Holy Week 2019 Schedule.